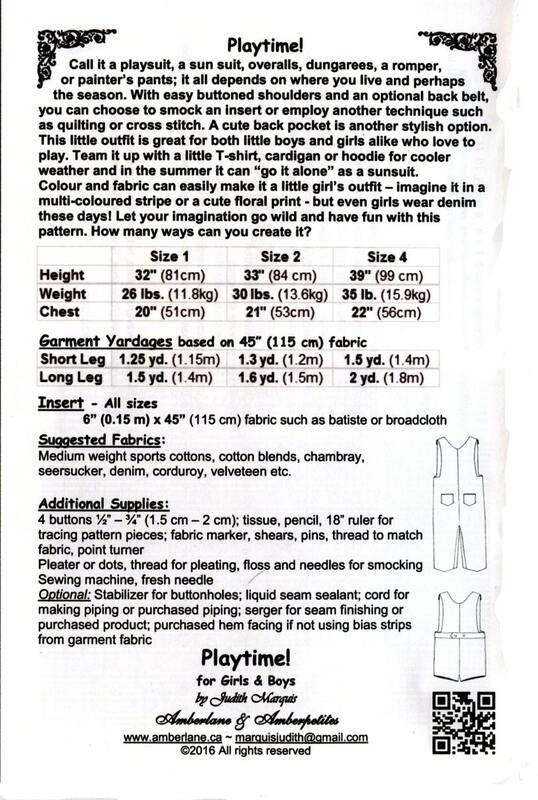 Overalls Pattern / Shortalls Pattern / Playsuit / Romper / Can Be Smocked / Girls & Boys. Call it a playsuit, a sun suit, overalls, dungarees, a romper or painter's pants; it all depends on where you live and perhaps the season. 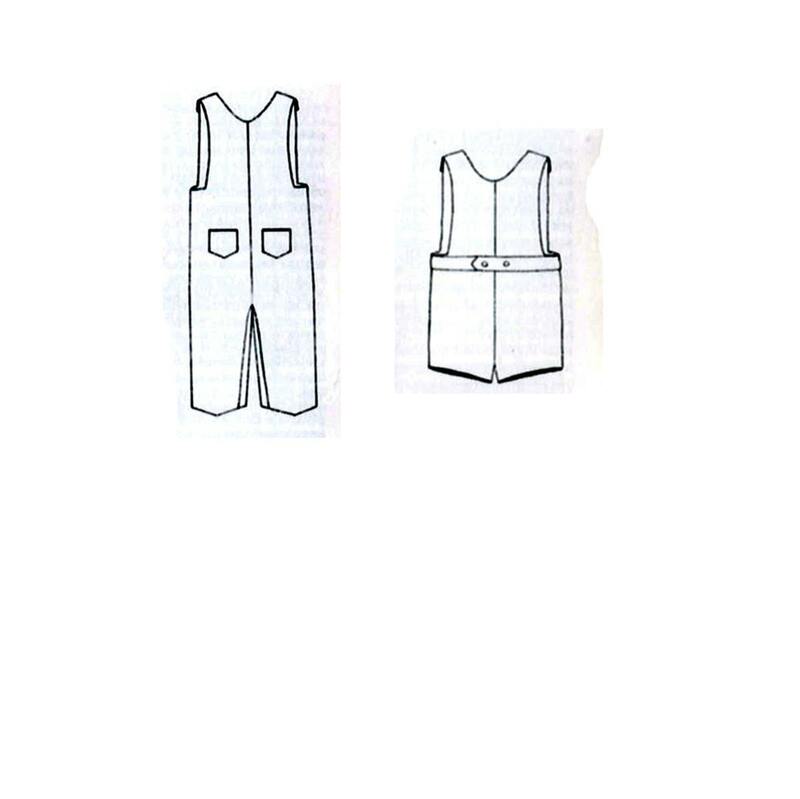 With easy buttoned shoulders and an optional back belt you can choose to smock an insert or employ another technique such as embroidery or cross stitch. A cute back pocket is another stylish option. 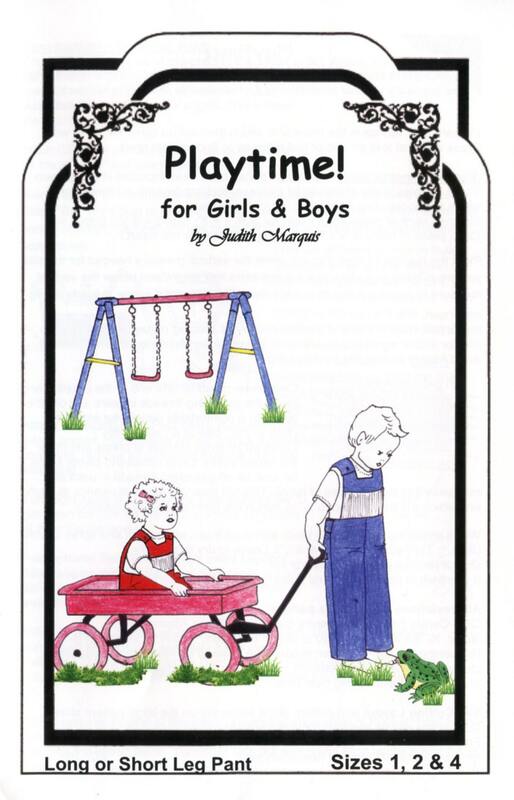 This outfit is great for both little boys and girls who love to play. Insert is 6" for all sizes.